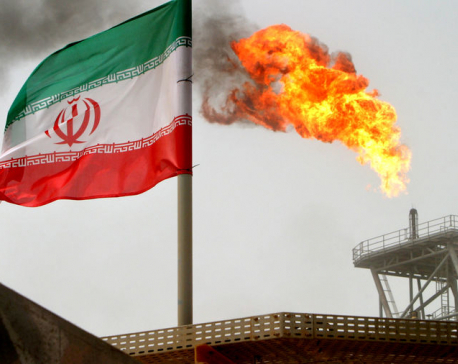 BEIJING, April 23: China’s Ministry of Foreign Affairs said on Tuesday it has lodged representations with the United States over its decision to end waivers on sanctions on Iranian oil imports. 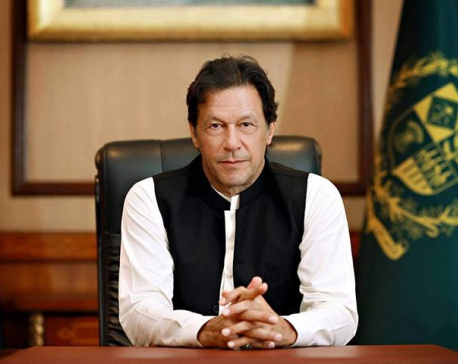 ISLAMABAD, April 17: Pakistani Prime Minister Imran Khan will visit China next week to meet its leaders and deliver a keynote speech at the vast Belt and Road Forum in Beijing, the South Asian nation’s foreign ministry said on Wednesday, as economic anxiety grows at home. 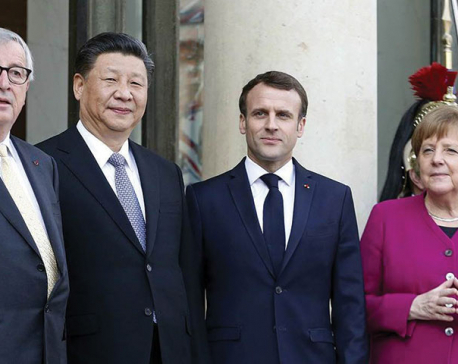 ZURICH, April 16: Switzerland will sign an accord backing China’s Belt and Road Initiative when President Ueli Maurer visits China this month, cementing ties with a major trading partner as other Western countries view the gargantuan project with scepticism. 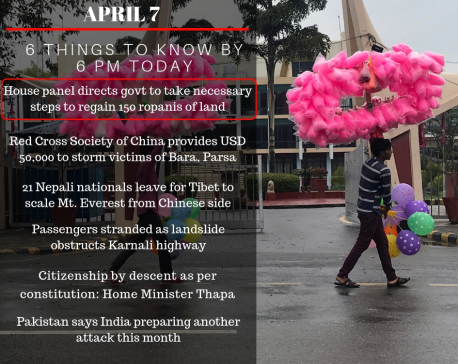 RASUWA, April 10: The Chinese government has started providing temporary passes to Nepali container drivers to enter Kerung, a bordering town to China's Tibetan Autonomous Region with the objective of improving trade relations between the two nations. 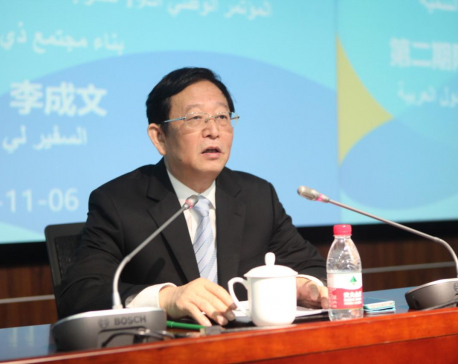 AMMAN, April 8: Li Chengwen, ambassador for China-Arab States Cooperation Forum Affairs of China's Foreign Ministry, refuted on Sunday the criticism that China's Belt and Road Initiative (BRI) will create so-called "debt trap" for some participating countries. There need be no doubt any longer. 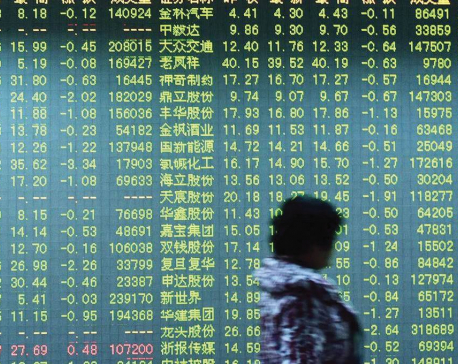 The Chinese are coming conspicuously and visibly—big and fast. 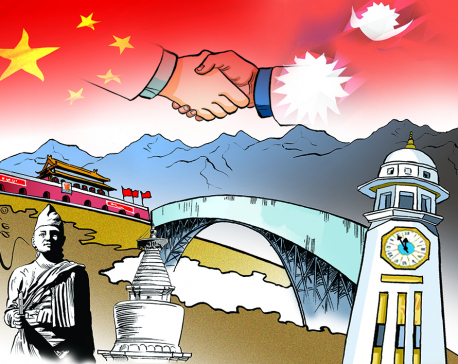 Forthcoming months will witness Beijing unveiling a multi-pronged strategy, according to Chinese academics who talk to Nepali visitors. 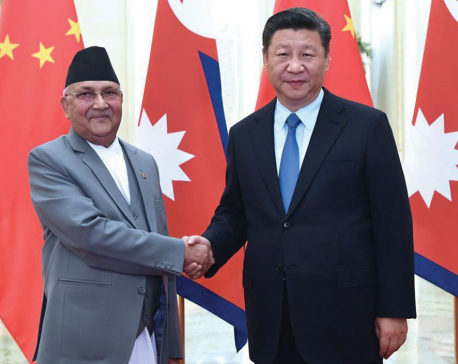 As a counter to the Chinese thrust in expanding their reach and influence, the United States sets renewed sight on Nepal as a crucial site for its strategic activity. 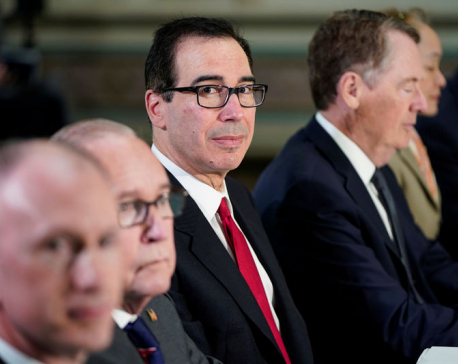 WASHINGTON, April 6: White House press secretary Sarah Sanders says “significant work remains” in trade talks with China, and officials from both nations will be in continuous contact to resolve outstanding issues. 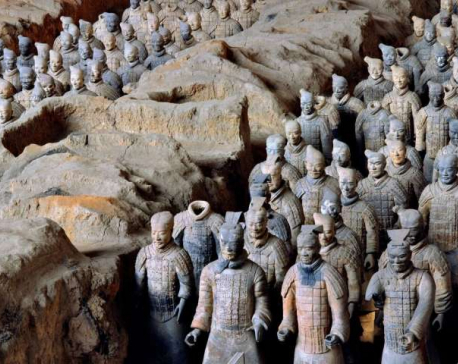 April 5: For decades, scientists have been perplexed by the marvelous preservation of bronze weapons associated with China’s famed Terracotta Warriors, retaining shiny, almost pristine surfaces and sharp blades after being buried for more than two millennia. Late actor Sridevi's last film 'Mom' will be hitting the silver screens in China soon. The film was earlier slated to release in China on March 22. WELLINGTON, April 4: Jacinda Ardern has concluded her first official visit to China since becoming New Zealand's prime minister in October 2017, saying her country welcomes investment from Chinese enterprises and pledging to create a favorable business environment without discrimination against any enterprise from any country. 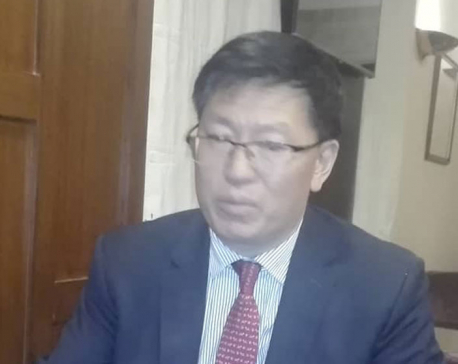 KATHMANDU, April 4: Dai Yonghong, professor at China Center for South Asia Studies of Sichuan University, has expressed hope that Nepal will not join the US-initiated Indo-Pacific Strategy that is widely seen as a measure to contain the rise of China. 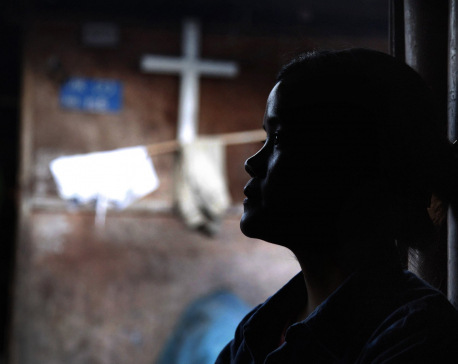 BANGKOK, March 21: Authorities in China and Myanmar are failing to stop the brutal trafficking of young women, often teenagers, from the conflict-ridden Kachin region for sexual slavery, according to a report by Human Rights Watch. April 2: 30 firefighters and locals have died battling a forest fire in a mountainous region of western China’s Sichuan province. 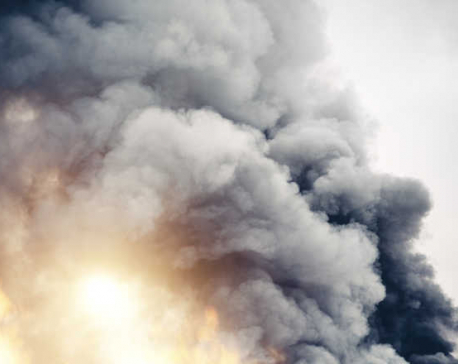 The firefighters were engulfed by a “huge fireball,” Chinese state media reported. 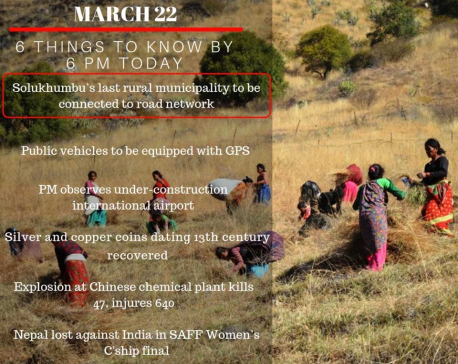 SICHUAN, April 1: Thirty people were killed while trying to stop a forest fire in southwestern China, officials said on Monday. 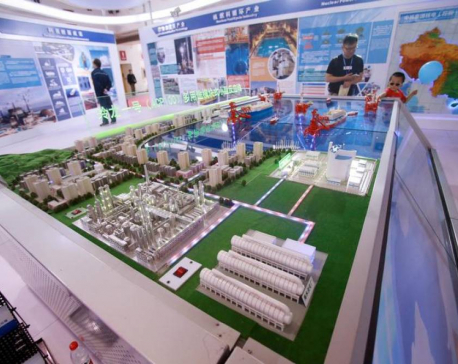 BEIJING, April 1: China will be able to build six to eight nuclear reactors a year if project approval processes return to normal as expected in the near future, the chairman of the state-owned China National Nuclear Corporation (CNNC) told Reuters on Monday. 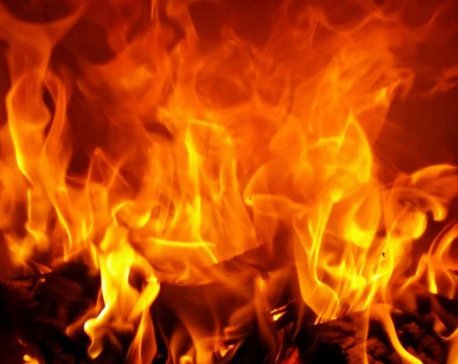 BEIJING, March 31: A plant explosion in China’s Jiangsu province has killed seven people, state media reported on Sunday, 10 days after a blast at a pesticide plant killed 78 people in the province and triggered a nationwide safety inspection campaign. 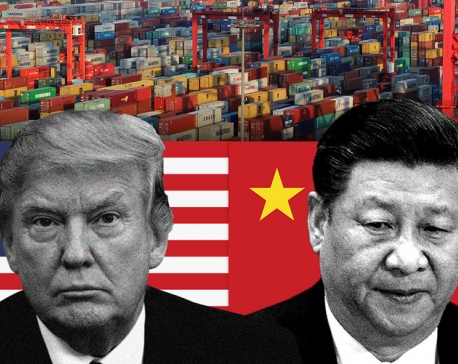 WASHINGTON, March 28: China has made unprecedented proposals in talks with the United States on a range of issues including forced technology transfer as the two sides work to overcome remaining obstacles to a deal to end their protracted trade war, U.S. officials told Reuters on Wednesday. 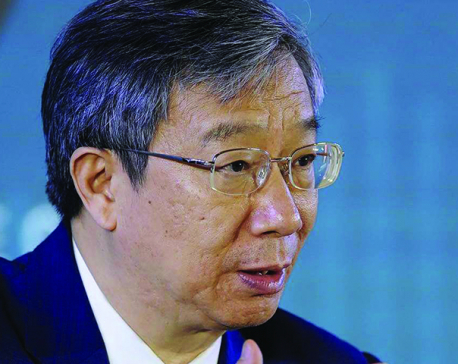 CHINA, March 27: China Development Bank (CDB) has provided financing of over $190 billion for more than 600 projects of the “Belt and Road” infrastructure plan since 2013, CDB President Zheng Zhijie told the Boao Forum on Wednesday. 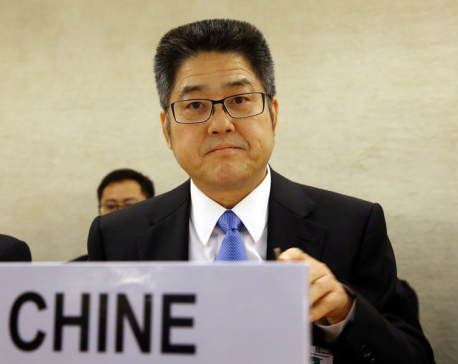 UNITED NATIONS, March 26: Russia sent home nearly two-thirds of some 30,000 North Koreans working there during 2018 and China repatriated more than half, but did not specify a figure, according to unpublished reports by Moscow and Beijing to the United Nations Security Council. 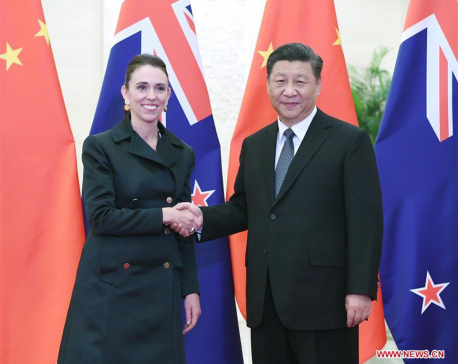 WELLINGTON, March 25: New Zealand’s Prime Minister Jacinda Ardern said on Monday she will travel to China at the end of the week for a meeting with Chinese President Xi Jinping, amid concerns of strained relations between the countries. 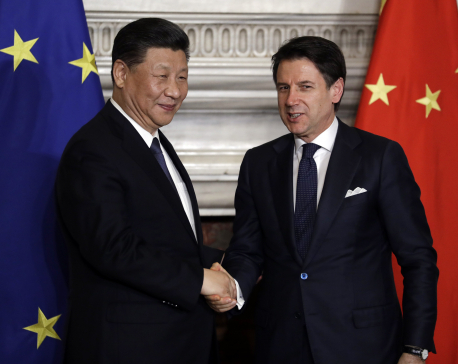 ROME, March 24: Italy signed a preliminary accord with China on Saturday that makes it the first country of the Group of Seven industrialized nation to join the Chinese Belt and Road infrastructure project. 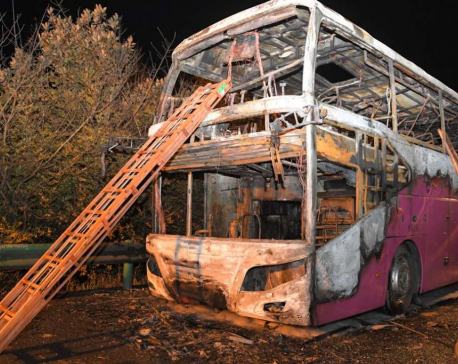 CHINA, March 23: A Tourist bus suddenly caught fire on a highway in Hunan Province of Central China, late on Friday, killing 26 people and injuring 28 others, local authorities said. 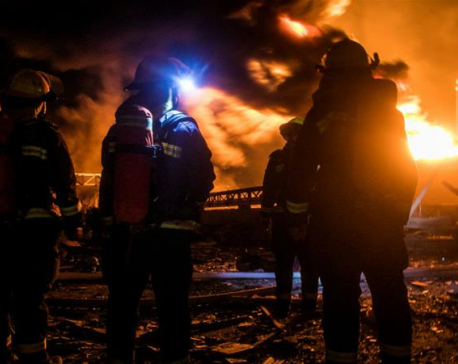 YANCHENG, March23: Rescuers pulled a survivor from rubble early on Saturday in the wake of a massive explosion at a pesticide plant in eastern China that flattened buildings, blew out windows more than a mile away and killed at least 64 people. 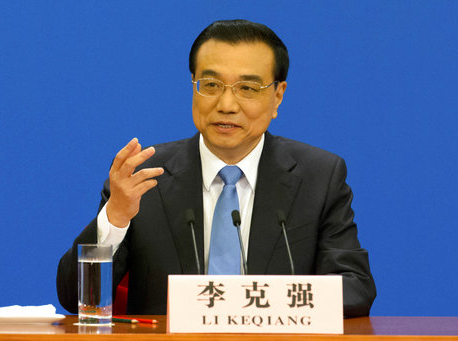 SHANGHAI, March 22: An explosion at a pesticide plant in eastern China has killed 47 people and injured more than 600, state media said on Friday, the latest casualties in a series of industrial accidents that has angered the public. 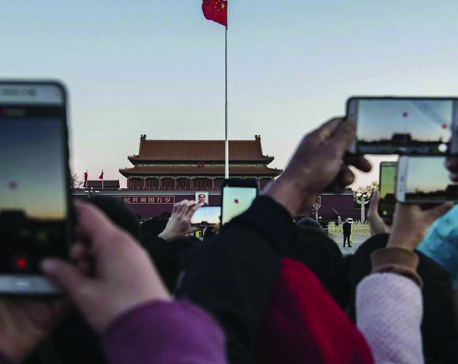 BEIJING, March 22: Chinese police shot dead a man on Friday after he plowed his car into pedestrians, killing six people, state television reported. 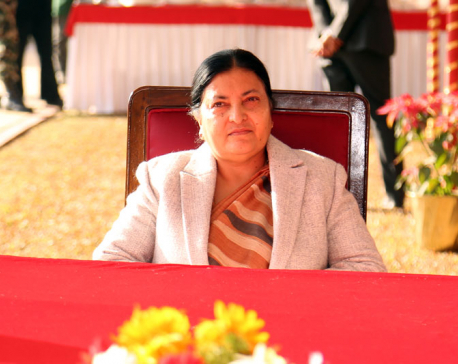 BEIJING, March 19: China played a “constructive role” in reducing tension between Pakistan and India, the foreign ministry said, after the nuclear-armed rivals almost came to blows last month following an attack on an Indian paramilitary convoy in disputed Kashmir. 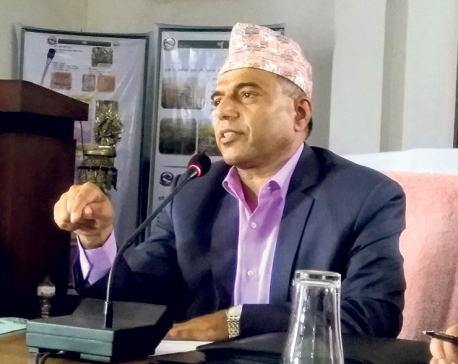 BEJING, March, 19: Minister for Agriculture and Livestock Development Chakrapani Khanal has proposed cooperation for production of tea, its research and technology, and socio-economic inter-connection between Nepal and China. 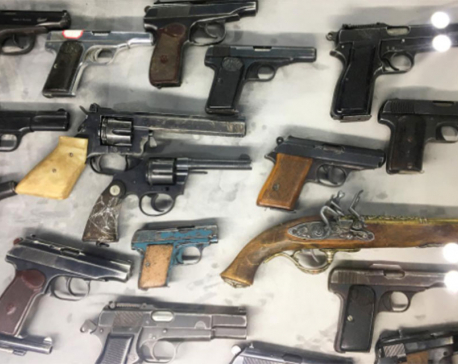 BEIJING, March 18: Authorities in China have arrested almost 13,000 “terrorists” in the restive far western region of Xinjiang since 2014, the government said on Monday, in a lengthy policy paper again defending its controversial Islamic de-radicalisation measures. 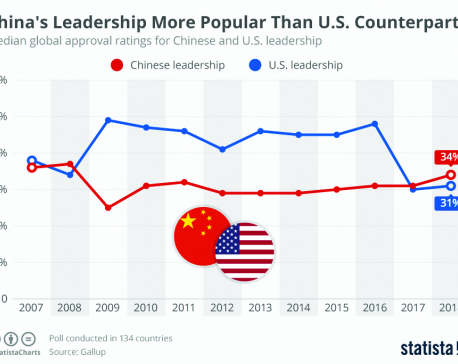 It’s been a fact since 2017: The Chinese leadership has higher median approval ratings around the world than its U.S. counterpart. 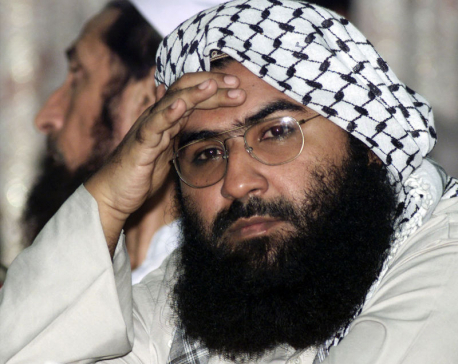 BEIJING, March 16: China said on Friday it was willing to have more discussions with all parties concerned including India on blacklisting the head of Pakistan-based militant group Jaish-e-Mohammed (JeM), which claimed responsibility for the attack on an Indian paramilitary convoy in disputed Kashmir in February. 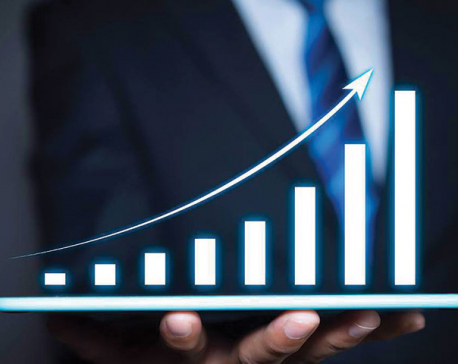 BEIJING, March 13: China offered on Wednesday to help Venezuela restore its power grid, after President Nicolas Maduro accused U.S. counterpart Donald Trump of cyber “sabotage” that plunged the South American country into its worst blackout on record. 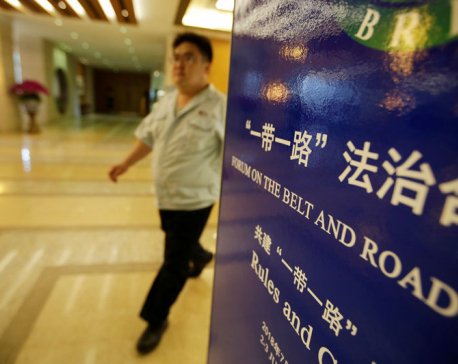 BEIJING, March 11: In line with ongoing rapid and massive developments in almost all spheres, the government of China has offered many development schemes to its neighbours, developing countries, Belt and Road Initiative (BRI) partners, and beyond. 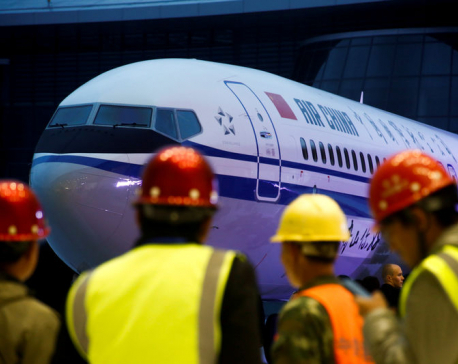 SHANGHAI, March 11: China’s aviation regulator has ordered domestic airlines to suspend their Boeing 737 Max aircraft, Chinese media outlet Caijing reported on Monday, following a deadly crash on Sunday of a 737 MAX 8 operated by Ethiopian Airlines. 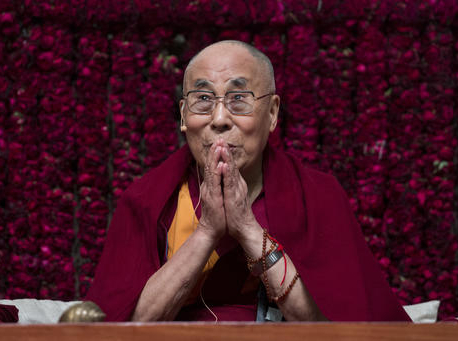 BEIJING, March 10: China is defending its often-criticized rule in Tibet 60 years after the Dalai Lama fled into exile amid an uprising against Chinese control, saying those who question its policies are merely biased. NAIROBI, March 10: The improvement in air quality that has been recorded in Chinese capital of Beijing in the last two decades could serve as an inspiration to world's mega cities grappling with atmospheric pollution, said a UN Environment report launched in Nairobi on Saturday. 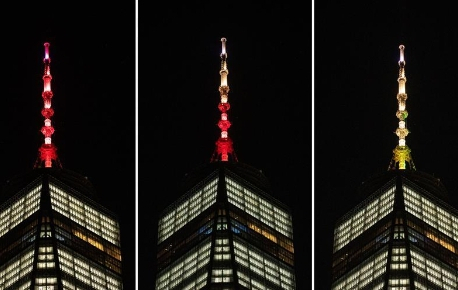 HONG KONG, March 7: Chinese telecoms equipment maker Huawei Technologies Co Ltd on Thursday confirmed it is suing the U.S. government over a section of a defense bill passed into law last year that restricted its business in the United States.